Yoru no Nai Kuni PS Vita Debut Trailer! Yoru no Nai Kuni will be coming to PS3, PS4 and PS Vita. You no Nai Kuni also features action elements in battles. Players are able to control their characters to fight enemies. Instead of battles similar to Persona 4 ones where it is turn based, Yoru no Nai Kuni is more of a combination of Persona and Gravity Rush in strategy. Yoru no Nai Kuni will be available August 27th for the PS3, PS4 and PS Vita. 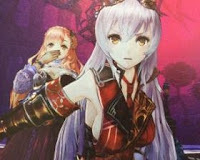 Are you interested in Yoru no Nai Kuni? Let us know below!